American Academy of Family Medicine (AAFM) Multi-Specialty Conference - Philippines is organized by American Academy of Family Medicine (AAFM) and will be held during Jul 07 - 09, 2019 at New World Makati Hotel, Makati, Metro Manila, Philippines. The target audience for this medical event is directed to physicians and registered nurses. This CME Conference has been approved for a maximum of 24 contact hours of continuing education. Conference Description: This multi-specialty continuing medical education offers the latest clinical and research findings through seminars and symposia. Included in the presentation are the most recent clinical advances in the United States and in other medical centers of the world. Our continuing medical education conferences highlight innovative procedures and technologies, examine current controversies in treatment, and provide updates on the latest advances and treatment of diseases. Self Directed Program and Distance Learning: For medical professionals who are unable to come on the scheduled dates of the meeting may enroll in a self-directed program. The syllabus of the meeting will be given to participants and the same continuing education credits will be awarded as if they have attended the seminar. Additional details will be posted as soon as they are available. American Academy of Family Medicine (AAFM) Multi-Specialty Conferences - Philippines is organized by American Academy of Family Medicine (AAFM) and will be held during Jul 21 - 23, 2019 at New World Makati Hotel, Makati, Metro Manila, Philippines. 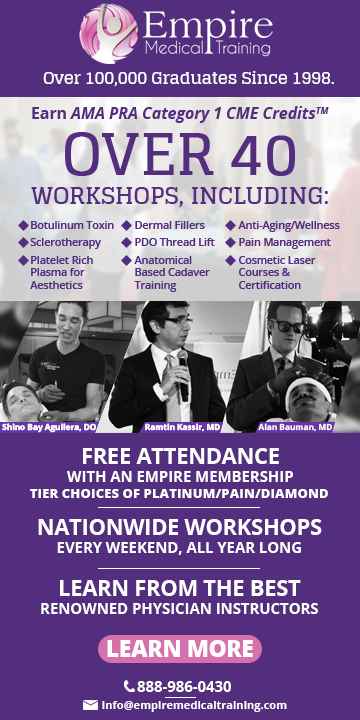 The target audience for this medical event is directed to physicians and registered nurses. This CME Conference has been approved for a maximum of 24 contact hours of continuing education. Conference Description: This multi-specialty continuing medical education offers the latest clinical and research findings through seminars and symposia. Included in the presentation are the most recent clinical advances in the United States and in other medical centers of the world. 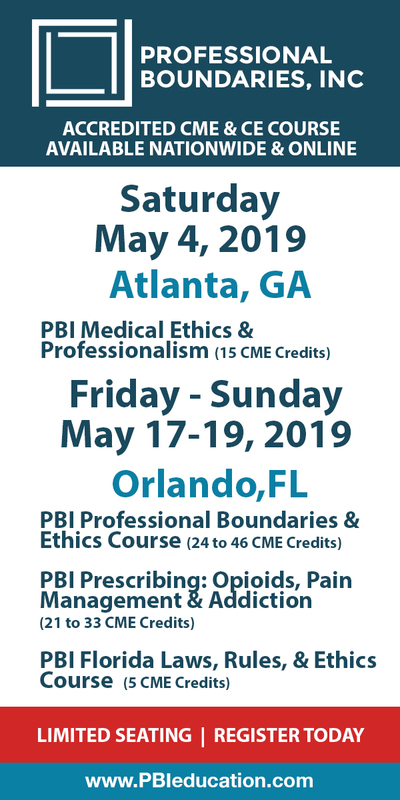 Our continuing medical education conferences highlight innovative procedures and technologies, examine current controversies in treatment, and provide updates on the latest advances and treatment of diseases. Self Directed Program and Distance Learning: For medical professionals who are unable to come on the scheduled dates of the meeting may enroll in a self-directed program. The syllabus of the meeting will be given to participants and the same continuing education credits will be awarded as if they have attended the seminar. Additional details will be posted as soon as they are available. American Academy of Family Medicine (AAFM) Multi-Specialty Conferences - Philippines is organized by American Academy of Family Medicine (AAFM) and will be held during Aug 04 - 06, 2019 at New World Makati Hotel, Makati, Metro Manila, Philippines. The target audience for this medical event is physicians and registered nurses. This CME Conference has been approved for a maximum of 24 contact hours of continuing education. Conference Description: This multi-specialty continuing medical education offers the latest clinical and research findings through seminars and symposia. Included in the presentation are the most recent clinical advances in the United States and in other medical centers of the world. Our continuing medical education conferences highlight innovative procedures and technologies, examine current controversies in treatment, and provide updates on the latest advances and treatment of diseases. Self Directed Program and Distance Learning: For medical professionals who are unable to come on the scheduled dates of the meeting may enroll in a self-directed program. The syllabus of the meeting will be given to participants and the same continuing education credits will be awarded as if they have attended the seminar. Additional details will be posted as soon as they are available. American Academy of Family Medicine (AAFM) Multi-Specialty Conference - Philippines is organized by American Academy of Family Medicine (AAFM) and will be held during Aug 18 - 20, 2019 at New World Makati Hotel, Makati, Metro Manila, Philippines. The target audience for this medical event is physicians and registered nurses. This CME Conference has been approved for a maximum of 24 contact hours of continuing education. Conference Description: This multi-specialty continuing medical education offers the latest clinical and research findings through seminars and symposia. Included in the presentation are the most recent clinical advances in the United States and in other medical centers of the world. Our continuing medical education conferences highlight innovative procedures and technologies, examine current controversies in treatment, and provide updates on the latest advances and treatment of diseases. Self Directed Program and Distance Learning: For medical professionals who are unable to come on the scheduled dates of the meeting may enroll in a self-directed program. The syllabus of the meeting will be given to participants and the same continuing education credits will be awarded as if they have attended the seminar. Additional details will be posted as soon as they are available. American Academy of Family Medicine (AAFM) Multi-Specialty Conference - Philippines is organized by American Academy of Family Medicine (AAFM) and will be held during Sep 01 - 03, 2019 at New World Makati Hotel, Makati, Metro Manila, Philippines. The target audience for this medical event is physicians and registered nurses. This CME Conference has been approved for a maximum of 24 contact hours of continuing education. Conference Description: This multi-specialty continuing medical education offers the latest clinical and research findings through seminars and symposia. Included in the presentation are the most recent clinical advances in the United States and in other medical centers of the world. Our continuing medical education conferences highlight innovative procedures and technologies, examine current controversies in treatment, and provide updates on the latest advances and treatment of diseases. Self Directed Program and Distance Learning: For medical professionals who are unable to come on the scheduled dates of the meeting may enroll in a self-directed program. The syllabus of the meeting will be given to participants and the same continuing education credits will be awarded as if they have attended the seminar. Additional details will be posted as soon as they are available. American Academy of Family Medicine (AAFM) Multi-Specialty Conference - Philippines is organized by American Academy of Family Medicine (AAFM) and will be held during Sep 15 - 17, 2019 at New World Makati Hotel, Makati, Metro Manila, Philippines. The target audience for this medical event is physicians and registered nurses. This CME Conference has been approved for a maximum of 24 contact hours of continuing education. Conference Description: This multi-specialty continuing medical education offers the latest clinical and research findings through seminars and symposia. Included in the presentation are the most recent clinical advances in the United States and in other medical centers of the world. Our continuing medical education conferences highlight innovative procedures and technologies, examine current controversies in treatment, and provide updates on the latest advances and treatment of diseases. Self Directed Program and Distance Learning: For medical professionals who are unable to come on the scheduled dates of the meeting may enroll in a self-directed program. The syllabus of the meeting will be given to participants and the same continuing education credits will be awarded as if they have attended the seminar. Additional details will be posted as soon as they are available.